2011-12: Texans 31, Bengals 10, called by Tom Hammond, Mike Mayock, and Alex Flanagan on NBC. Key Texans: QB T.J. Yates, RB Arian Foster, WR Andre Johnson, DE J.J. Watt, S Danieal Manning. A 13.5 rating, down 16 percent from Seahawks-Saints in that slot the previous year, and well below Steelers-Broncos (24.0 on CBS late Sunday afternoon, Lions-Saints (18.2 on NBC Saturday night) and Giants-Falcons (17.3 on Fox early Sunday afternoon). 2012-13: Texans 19, Bengals 13, called by Dan Hicks, Mike Mayock, and Alex Flanagan on NBC. Key Texans: QB Matt Schaub, RB Arian Foster, TE Owen Daniels. A 14.4 rating, below Seahawks-Redskins (21.5 on Fox late Sunday afternoon), Ravens-Colts (18.1 on CBS early Sunday afternoon), and Packers-Vikings (17.3 on NBC Saturday night). 2015-16: Chiefs 30, Texans 0, called by Mike Tirico, Jon Gruden, and Lisa Salters on ESPN/ABC. Key Texans: None. QB Brian Hoyer threw four interceptions, so I guess he was key to the outcome. A 16.2 rating, below Packers-Redskins (23.6 on Fox late Sunday afternoon), Seahawks-Vikings (22.5 on NBC early Sunday afternoon), and Steelers-Bengals (19.2 on CBS Saturday night). 2016-17: Texans 27, Raiders 14, called by Sean McDonough, Jon Gruden, Lisa Salters and Adam Schefter on ESPN/ABC. Key Texans: DE Jadeveon Clowney, DB Johnathan Joseph, LB Whitney Mercilus, RB Lamar Miller, not really QB Brock Osweiler ( 14-of-25 passing for 168 yards and a touchdown, 15 rushing yards and a touchdown). A 14.4 rating, below Giants-Packers (21.3 on Fox late Sunday afternoon), Dolphins-Steelers (17.5 on CBS early Sunday afternoon), and Lions-Seahawks (14.8 on NBC Saturday night). It’s pretty remarkable that the Texans keep winding up in this slot, but there isn’t necessarily a compelling reason from a ratings perspective to move them out of it. Most of these games haven’t been great from a ratings standpoint even considering the slot. 2015-16’s is the best in both raw numbers and year-over-year rise, up from 12.5 for afternoon Cardinals-Panthers the year before, but that one carries a massive disclaimer thanks to being only shown on ESPN and not ABC, and it was still by far the weakest number for wild-card games that year. And the Texans haven’t exactly proven to be a national ratings draw, partly thanks to only being a franchise that’s only been around since 2002 and hasn’t had the greatest success. They’re from the seventh-largest media market, but there are a lot of Cowboys fans there (and a lot of fans of other teams who moved to Houston for work). And the 6.8 average rating they posted in national TV appearances this year doesn’t exactly scream that they need a better slot; that’s 24th in the 32-team NFL, and only ahead of the Baltimore Ravens (6.4) amongst playoff teams. And their opponent, the Indianapolis Colts, was 18th overall and third-worst amongst playoff teams with a 8.0, so Texans-Colts on Saturday afternoon seems about right considering the options. It is sort of amazing that the Texans are always put in this playoff slot, though. 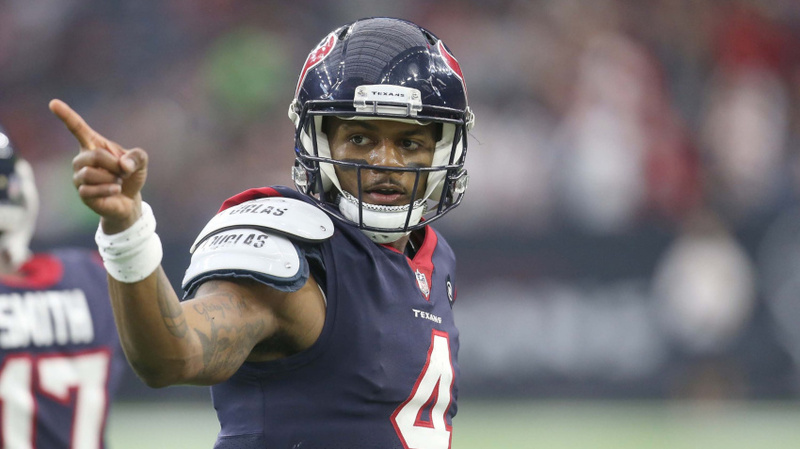 And maybe that will change; they’re on their fifth different starting quarterback in these five playoff games, too, and Deshaun Watson seems to have a lot more potential than the likes of Yates and Hoyer. If he leads them to a win here and maybe a playoff run, and then maybe a solid regular season next year, maybe the Texans will start to be seen as more of a national draw, and maybe they’ll get to play in a wild-card game that’s not in the early Saturday slot. (Or maybe they’ll even be good enough to get a bye to the divisional round.) For now, though, the Texans are playing on Saturday afternoon again, and that seems pretty logical from a TV standpoint.